Patna, Feb 17 (IANS) Lok Sabha Speaker Sumitra Mahajan on Saturday said every pillar of democracy is accountable to the people. "The executive is accountable to people through legislature. Judiciary is also accountable to the people as custodian of the rights of people. It is important responsibility of the judiciary to protect the Constitution. The system of checks and balances is thus very important for the functioning of any vibrant democracy," Mahajan said after inaugurating a two-day conference of Commonwealth Parliamentary Association (CPA)-India Region at Gyan Bhavan here. The Speaker said the developmental agenda of India reflects the aspirations of Sustainable Development Goals (SDGs), set by the United Nations. "As people's representatives, we need to play a significant role in achieving SDGs," she said. Parliamentarians can help accelerate the implementation of these goals through laws, debates and conferences, she said. In this context, she referred to the Speaker's Research Initiative in Parliament that provides a platform to the Parliamentarians to engage with domain experts. 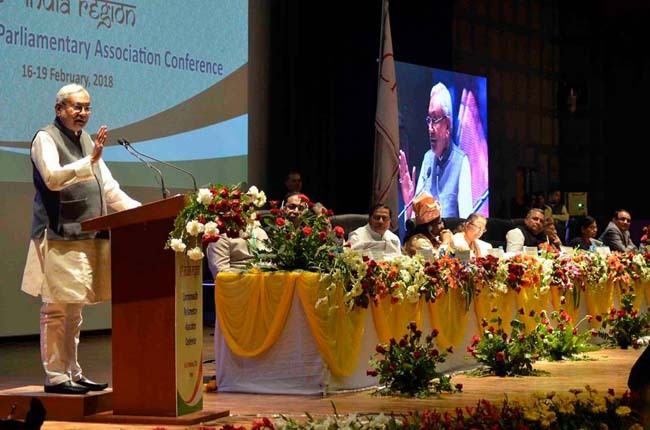 Appreciating the political acumen and insight of Bihar Chief Minister Nitish Kumar, who was the chief guest at the conference, the Speaker said: "(Bihar) has progressed and grown under the dynamic leadership of Nitish Kumar." 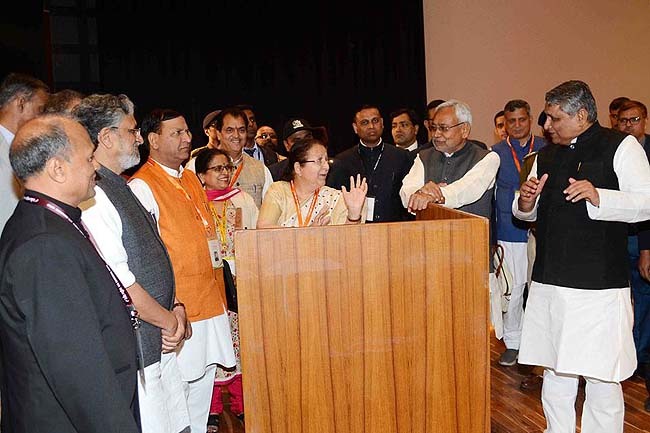 Urging for the passage of the Women's Reservation Bill in the Lok Sabha, Nitish Kumar said reservation of seats for women in panchayats and local bodies in Bihar has increased from 33 to 50 per cent, which had brought a remarkable change in society. Speaking on the occasion, CPA Chairperson Emilia M. Lifaka said development means improvement in an existing situation. "Each of our countries has a development plan which acts as a road map that defines the kind of development trajectory that they aspire to. Development to succeed must be people-centred and the people must be part of developmental agenda. This is not only participatory, it is also a guarantee of inclusiveness," said Lifaka.